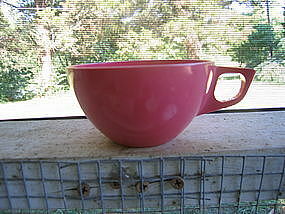 Hot pink Melmac cup. Minor usage marks. I need your zip code to calculate the postage. 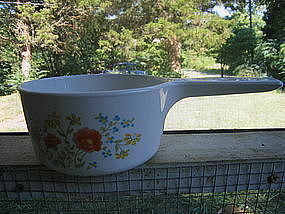 One quart size saucepan and lid in the Wildflower pattern. I am not sure that the Rangetoppers came with lids, but I do have a lid from another Corning pattern that does fit and it is included in the purchase price. 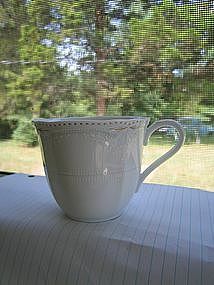 There are no chips, cracks, breaks or rough rim, but has a few light usage marks. I need your zip code to calculate the postage. 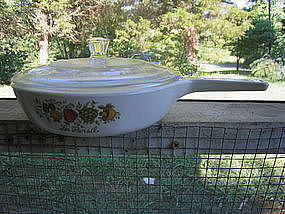 Corning Spice of Life 6 1/2 inch skillet and lid (sometimes called a Menuette). There are no chips, cracks, breaks or rough rim, but does have a few light usage marks. There are 2 complete sets available for purchase. I need your zip code to calculate the postage. Crystal cat holder measuring 4 3/4 inches in length. There is no damage. I need your zip code to calculate the postage. 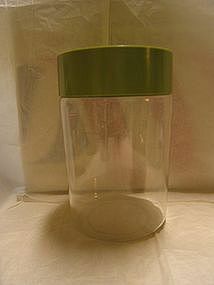 Vintage Pyrex canister with green plastic lid. 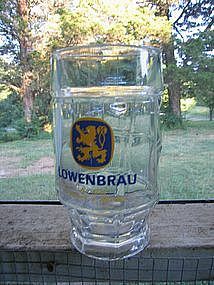 It holds approximately 64 ounces and is 7 3/4 inches in height. 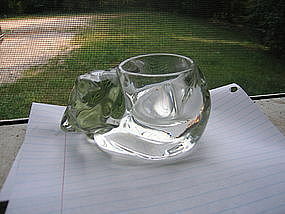 There are superficial usage marks to both pieces and one manufacturing flaw to the glass. I need your zip code to calculate the postage. 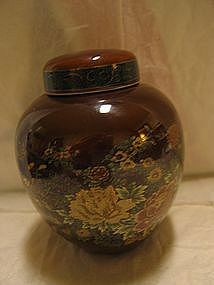 Sometimes called a ginger jar. Marked as manufactured in Japan. 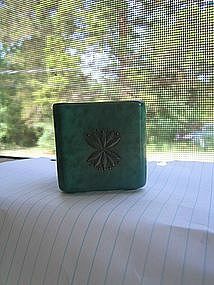 It measures approximately 4 1/2 inches in height. Very little sign of use. I need your zip code to calculate the postage. There is no damage to this cup. I need your zip code to calculate the postage. 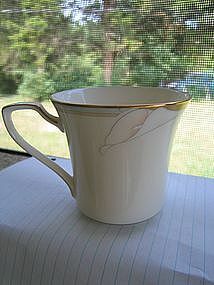 Replacement cup in the Alcott pattern by Noritake. There is no damage. I need your zip code to calculate the postage. I am not sure what the original purpose of the 2 x 2 x 2 inch piece. 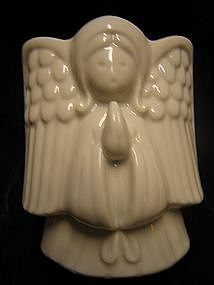 It could be a toothpick holder, salt cellar or any number of things. There is no damage. I need your zip code to calculate the postage. 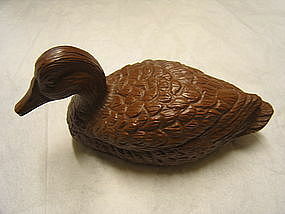 This duck measures 5 inches in length. There is no damage. I need your zip code to calculate the postage. 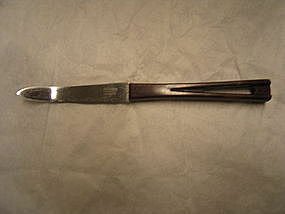 Vintage cake icing knife measuring 11 1/2 inches in length. Minor usage wear to the blade. 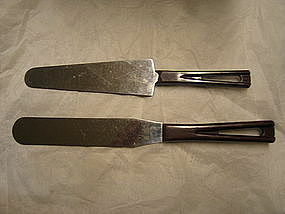 The cake server shown in the photograph is available for purchase, as well as several other pieces of the original utensil set. I need your zip code to calculate the postage. Vintage grapefruit knife measuring 7 3/4 inches. There are a few usage marks to the blade. I need your zip code to calculate the postage. 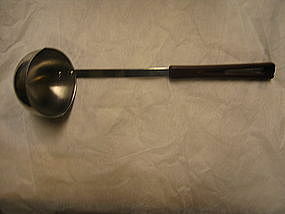 Vintage soup ladle measuring 11 1/2 inches in length. I am not sure of the material of the handle, but looks much like root beer Bakelite. Minor usage wear. I have 2 of the ladles available and priced individually. I need your zip code to calculate the postage. 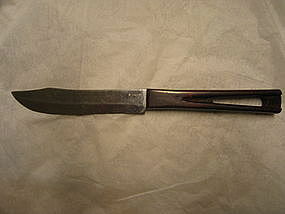 Stanhome paring knife with a 4 3/4 inch blade. There are cleaning and usage marks to the blade. There are several other utensils from my original set available for purchase. I need your zip code to calculate the postage. 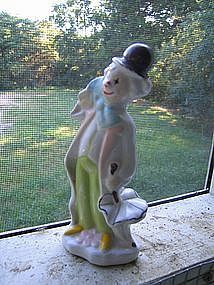 This is not a new figurine, but don't know if it is old enough to be considered vintage. It measures 6 inches in height. There is some manufacturing information on the bottom, but it is smudged to the point, that it is unreadable. There are some areas of loss to the finish. I need your zip code to calculate the postage. 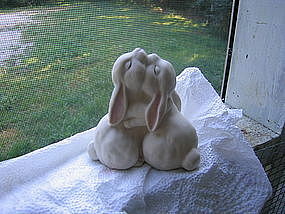 The figurine is marked Homco 1990, Love is Wonderful! It is signed by what appears to be Mizuno. It measures 4 inches in height. There are no chips, cracks, breaks or rough edges. I need your zip code to calculate the postage.